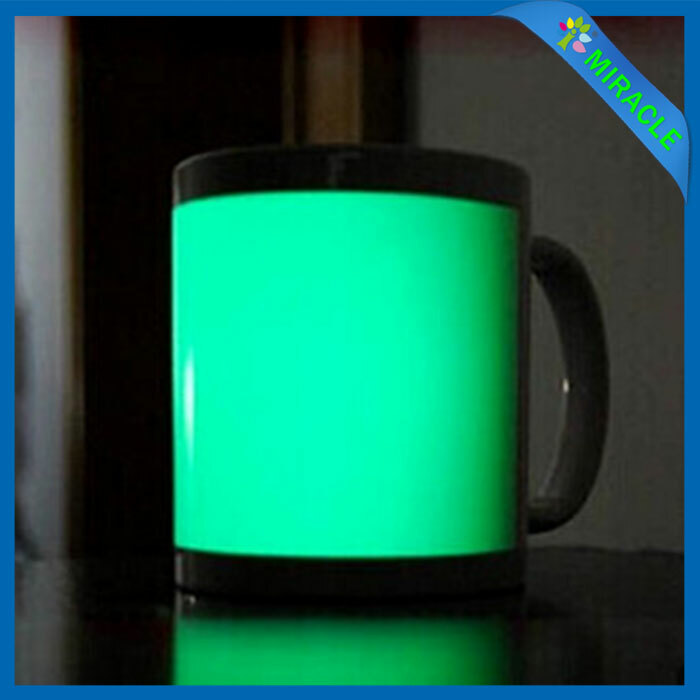 (1) The best choice of heat transfer luminous mug photo background is relatively shallow photo, luminous mug effect will be more obvious. (2) The luminous cup must be placed in the sun or light exposure for a few minutes, at nightfall, romantic photos will be clearly visible at night. (3) The luminous cups are processed by the special coating technology of the factory, and then used with special thermal transfer inks to transfer the effect of digital printing photos, such as vividness and realism, not only a souvenir, artwork, Still very practical, is a gift to share.